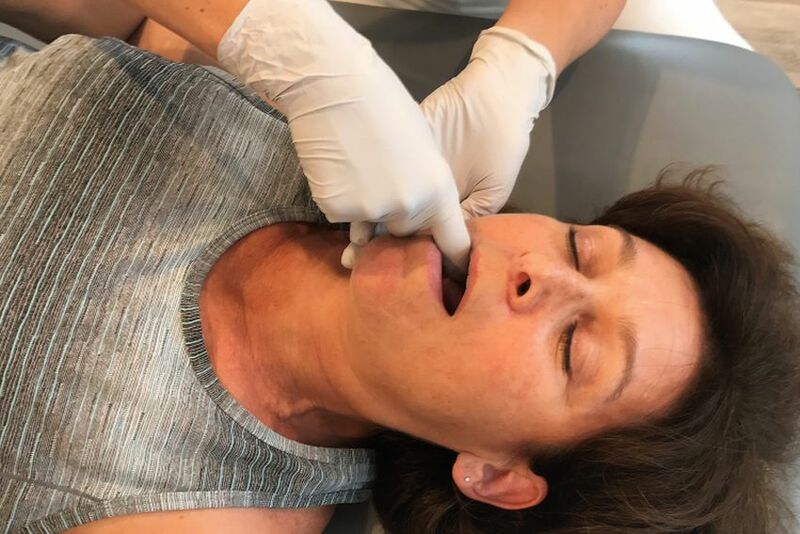 Orofacial Myofunctional Therapy (OMT) is re-training of the facial, head, jaw, and neck muscles to promote proper breathing, TMJ function, occlusion, chewing, swallowing, sleeping, speech, and facial development. Orofacial Myofunctional disorders typically involve mouth vs nasal breathing, improper tongue posture and swallow patterns, and/or clenching or grinding. Sleep apnea is commonly associated with Orofacial Myofunctional disorders. In a meta analysis by Camacho et al (2015) it was found that OMT alone was able to reduce the severity of obstructive sleep apnea by 50% in adults and 62% in children. Due to the interconnectedness of the postural system, orofacial dysfunction is usually correlated with postural imbalances throughout the rest of the body. Therefore, at One to One Physical Therapy, OMT is integrated with Postural Restoration for the best outcomes.